4 Different cases, 4 Different clues. The reward money for the information of an A++ category militant is Rs 10 lakh. Likewise Rs 5 lakh is the reward amount for A+ category militant, 3 lakh for A category militant, 2 lakh for B category and for C category the amount is around 1 lakh. But the reward amount for helping in nabbing a braid chopper has been increased from Rs 3 lakh to Rs 6 lakh. Means a braid chopper is almost an A+ category militant. But why then no braid chopper has been arrested or caught yet? Police seem to have no answer. It is not still confirmed that who are these braid choppers? Are they locals or outsiders? After almost a month and more than hundred braid chopping cases, the only one similarity in almost all these cases is that the choppers first spray some chemicals to make the victim unconscious and then cut their hair. 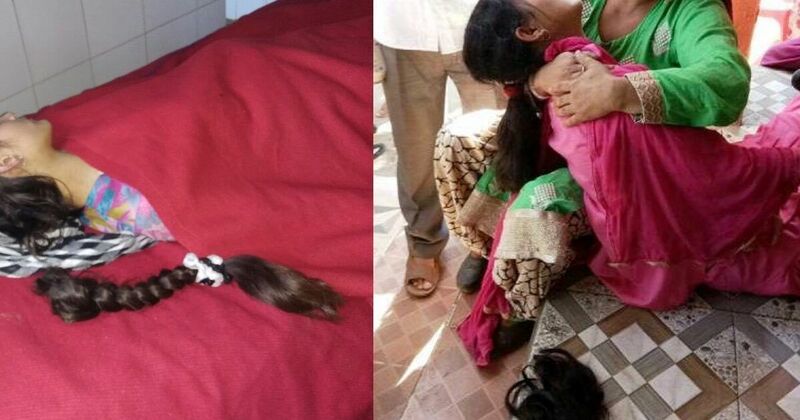 But in Nowgam area of Srinagar, the braid of Nazia was chopped when she was fully conscious. Nazia wife of Mohammad Ibrahim said that her husband had gone to drop their kids to school and she was alone in her house when two masked men came. They tried to spray something on her face but she pleaded them not to do so. They then warned her not to shout otherwise they will kill her. In this case, the choppers are believed to be non-locals. The second story is contradictory to the first. “I heard my daughters cry. I came running from the kitchen. I saw my daughter lying unconscious and a fat lady trying to jump the fence. I got hold of the fat lady but she elbowed me hard and asked in Kashmiri her partner on the other side of the wall to help,” said Aina’s mother. In this incident, the choppers are believed to be Kashmiris. With one of them believed to be a lady in khaki. “I think the chopper has sprayed something after hitting her head with a brick because some kind of foam was coming out of her mouth,” said Aijaz Ahmad, victim’s father. In this incident, the chopper is believed to be well-trained commando who after jumping from the second floor managed to escape from a congested area. 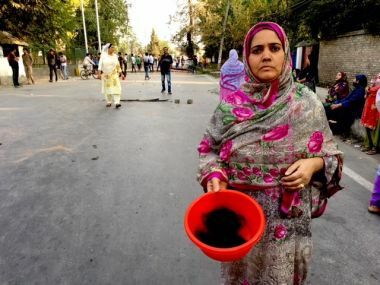 In the fourth case in Batmaloo Srinagar, a pregnant lady Shakeela, wife of Sajad Ahmad who was busy in her daily chores when the chopper chopped her hair at 9:15 am. Interestingly all the other family members were present at that time in the same house. Shakeela said that someone came from behind and sprayed something on her face and she fell unconscious and could not raise any voice. Shakeela’s mother in law alleged that the chopper has stolen two golden rings and a golden chain of her daughter in law. In this case, the chopper is believed to be a thief. First, the choppers are only interested in chopping the braid and have nothing to do with the chopped braid. They keep the chopped part there for the victim, maybe to create more panic. Second, despite high cautions taken by the women of Kashmir the choppers still manage to do their crime. That means the choppers are well researched, for they knew the timing when the victims are alone. Citizens accuse government agencies and police responsible for this. “When they can trace down highly wanted militants, why can’t they trace down choppers,” says Mohammad Rafi, a shopkeeper of Nowgam. “When someone is caught red-handed, police comes to their rescue by saying they are mentally challenged. Everyone can’t be mentally challenged. They are playing with our honour,” said Umaisa, a Kashmir University student. The failure of Special Investigation Team (SIT), which was constituted by the J&K Police to probe the incidents, has created resentment among the local populace. This has led the Police to scientifically investigate the matter. “We have started a scientific investigation, maybe it will lead us to somewhere to get some clue,” said IGP Kashmir Muneer Khan. The author is a student of journalism, views expressed are his own.